The Swedish playing card meanings below are from the book Sibyllans Hemligheter (Secrets of the Sibyl), edited by Sven Linde published in 1977. 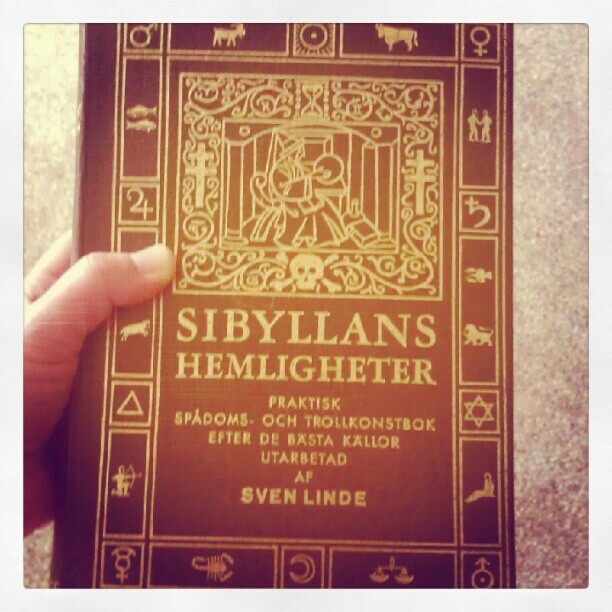 This book is a collection the best practical divination and magic tricks (stage magic and mentalism) from very old Swedish sources. I do wish Mr. Linde would have revealed his sources! If divination and stage magic seems an odd mix to you, let me assure you that I agree. I happily skipped the magic tricks portion of the book and went straight for the astrology and divination sections. This was my favourite book as a child and after my grandmother died, it was passed on to me. There are actually several sets of meanings, so I decided to publish the most popular set – that for 36 cards, which means you have to first remove the 2’s, 3’s, 4’s and 5’s from a regular deck of playing cards. This set of meanings requires a layout based on four rows of nine cards in each row, which is also a popular layout for the Lenormand cards. The signifier is always the Queen of Hearts for a lady and the King of Hearts for a man. 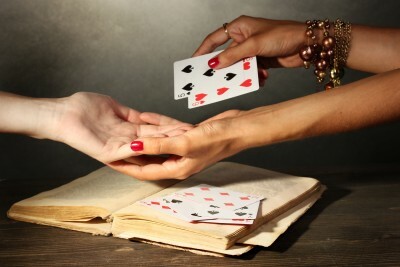 Jack: a bad man, a secret advisor; together with the 7 of Spades and the 9 of diamonds – a seducer. A sign that one’s lover is about to stray. Eight: good health; pleasant dreams. Together with the 8 of Clubs and the 6 of Hearts, it means news of a fire. Six: wishes fulfilled; news of distant acquaintances; travels. If the 9 of Spades is found left of the 6 of Diamonds, it signifies the ‘final journey,’ i.e. death. Ace: false messages, letter, love affair. If the Ace is reversed (tip of Sword pointing upward), it means tender, innocent love. The upright meaning indicates an illicit love affair. Ten: adversity / distress, if it is next to the signifier. The 7 of Spades above the 10 of Clubs counteracts the bad news. Seven: illness and bad things, if next to the signifier. Six: a celebration, company, a trip for pleasure, especially next to high-ranking cards in the same suit. King: revenge, punishment, injustice; also, sad news. The bad meanings of the King are counteracted if it falls under the Queen of Spades. Nine: death, huge suffering when he 9 of Swords is next to the signifier. If the 13th card from the signifier is black, there will be a death in the family. Six: travels by land or sea. Surrounding Courtiers may reveal travel companions. In the four rows of nine cards, the reader pays extra attention to the 7th and 13th cards, both to the left and right of the signifier. However, there is a lot more to it than this and the interaction between the cards is described in great detail in the book.